Economic Impact 2018: A focus on Thomasville & Thomas County. Have you ever wondered how a specific industry can impact your community? 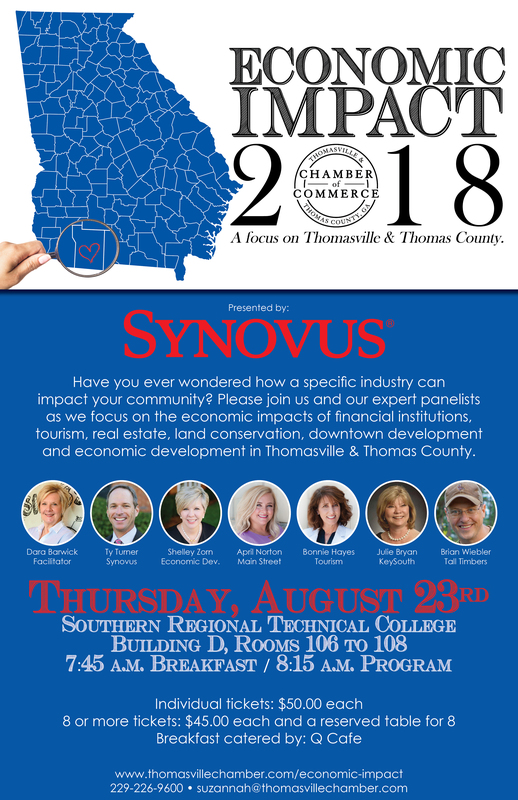 Please join us and our expert panelists as we focus on the economic impacts of financial institutions, tourism, real estate, land conservation, downtown development and economic development in Thomasville & Thomas County. Please click here to register if paying with a credit card. If you will need an invoice to submit payment, please contact the Chamber directly. Thank you.